Went out with a really nice bunch of guys last weekend (finally figured out how to get the pictures off my camera). We left the fish biting (easy limits) and went looking for a different species of fish to catch to no avail. 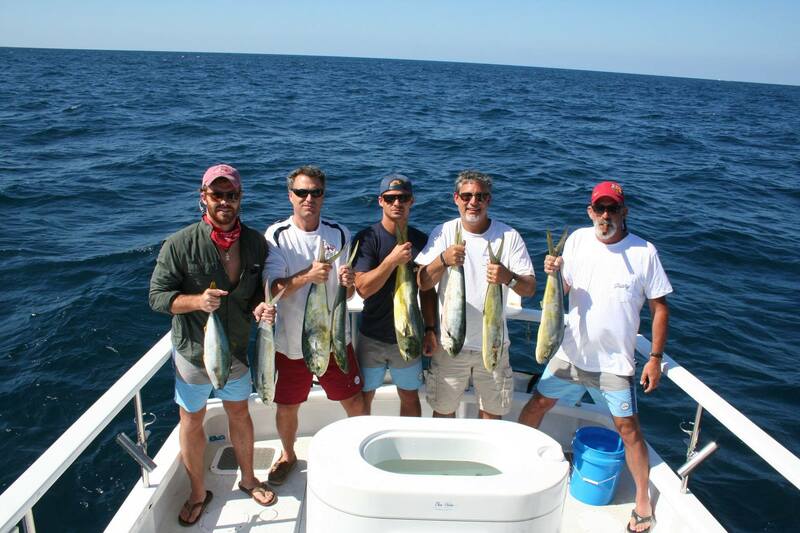 All of you did great on the Dorado and look forward in fishing with you again next year. Thanks Guys! A returning customer/friend from Arizona came into town and fished with us yesterday with some of his friends. 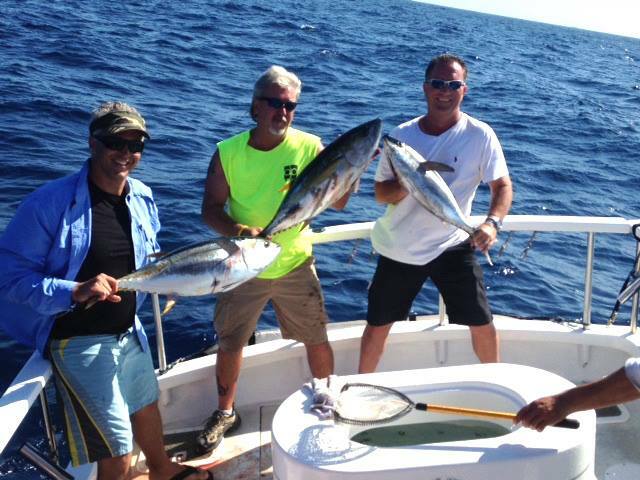 Fishing over all was on the slow side but manage some quality Tuna. I will never get over the look on Dave’s face when he got picked up by his fish and the reel was screaming, Great Stuff! Also seeing the look on your face when you got hammered on the troll and watching you fight your fish, great memories. Not to mention Randy’s face when he was battling his fish on light gear. Ernie get back home safe and thanks again for choosing Coletta Sport Fishing again for your fishing adventure. See you next year.